Researchers from Florida Atlantic University ’s Harbor Branch Oceanographic Institute , o n e of the university’s four research pillars, have been awarded up to $5 million from the Defense Advanced Research Projects Agency ( DARPA ) as part of the Persistent Aquatic Living Sensors (PALS) program . 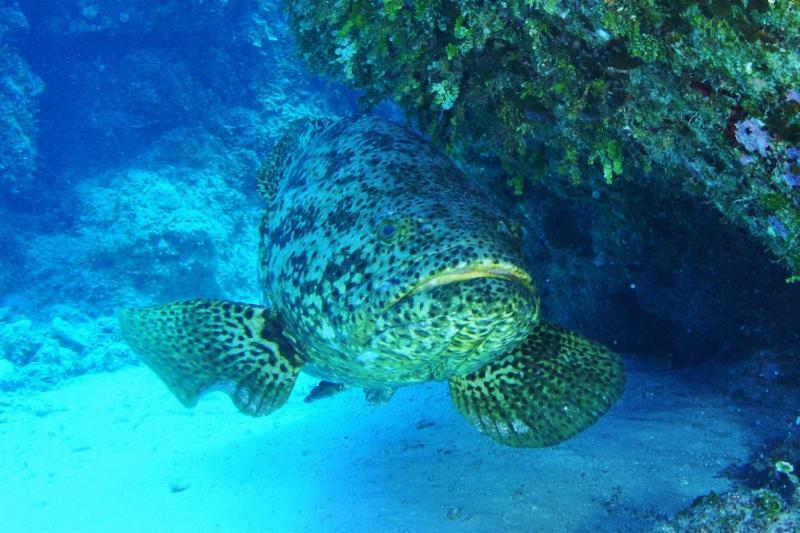 “Grouper Guard,” FAU’s four-year PALS project, led by Laurent Chérubin , Ph.D., principal investigator and an associate research professor at FAU’s Harbor Branch, will record and analyze vocalization cues from goliath grouper and then send alerts to a remote end user. 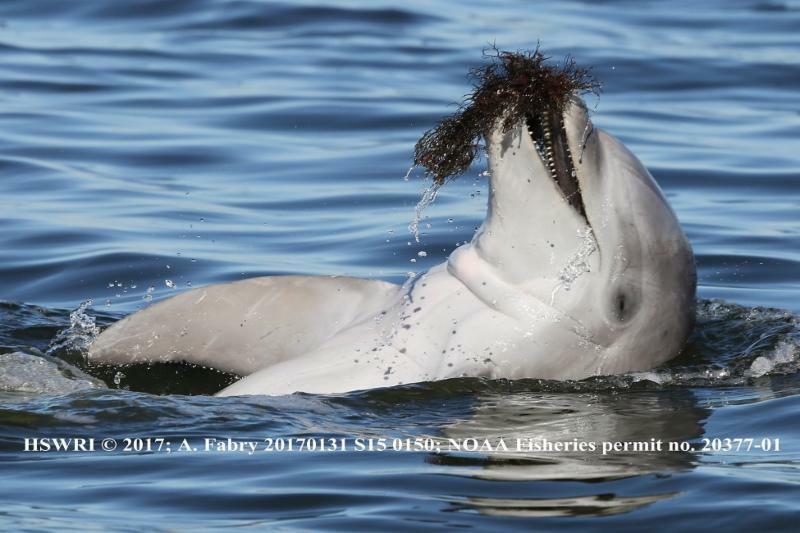 Researchers from Florida Atlantic University ’s Harbor Branch Oceanographic Institute , Hubbs-SeaWorld Research Institute and collaborators have conducted the most extensive radio-tracking effort of bottlenose dolphins in the Indian River Lagoon (IRL) using radio-telemetry. Findings from the study co-authored by Greg O’Corry-Crowe , Ph.D., research professor at FAU’s Harbor Branch, reveal new and surprising information about how they use their habitats, how they spend their time, and how they interact with their own species. Scientists with Florida Atlantic University’s Harbor Branch Oceanographic Institute partnered with 4Ocean , Navocean and the Gulf of Mexico Coastal Ocean Observation System (GCOOS), to learn more about harmful algal blooms in Lake Okeechobee through the launch of the Navocean “Nav2” sailboat. ﻿Jordon Beckler, Ph.D., assistant research professor and principal investigator of the Geochemical Sensing Laboratory, part of FAU Harbor Branch and the FAU Institute of Sensing and Embedded Network Systems Engineering (I-SENSE) set sail to the algae-monitoring sailboat named "Vela" from the Pahokee Marina. 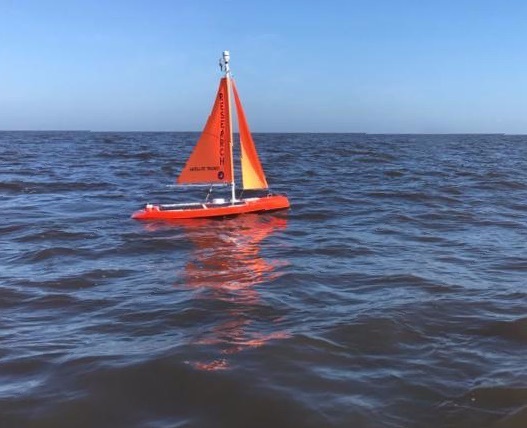 It's the first autonomous sail-driven surface vehicle to be used for inland algae monitoring. 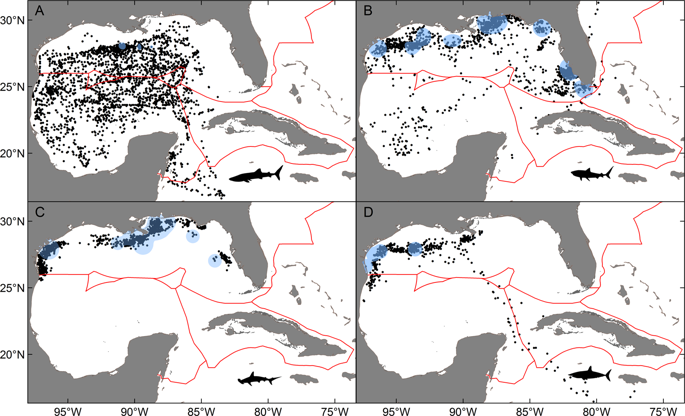 Harbor Branch researchers and collaborators used electronic tagging data from eight species, including billfishes, tunas and sharks to track when and for how long the highly mobile marine predators crossed international boundaries in the Gulf of Mexico. Matt Ajemian , Ph.D, assistant research professor at FAU's Harbor Branch, co-authored the study titled, "Population connectivity of pelagic megafauna in the Cuba-Mexico-United States triangle." The study, recently published in the journal Nature, found several species converged on a common seasonal movement pattern between territorial waters of the U.S. (summer) and Mexico (winter). Harbor Branch Oceanographic Institute scientists are well represented in the latest journal Environmental Biology of Fishes . Of the 23 scientific articles published in the "Special Issue on Fishes on the Flats," Harbor Branch researchers and graduate students co-authored 15. Aaron Adams, Ph.D., senior scientist at FAU's Harbor Branch and director of science and conservation at Bonefish & Tarpon Trust served as guest editor. Many of the Harbor Branch research articles feature work conducted part of the Bonefish Reproduction Research Project. 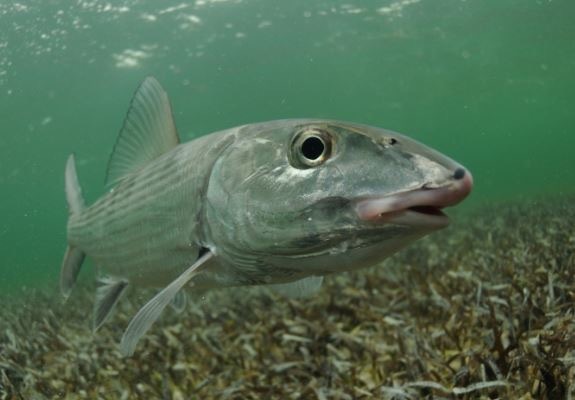 The research was funded through a partnership with Bonefish & Tarpon Trust, a science-based non-profit, conservation organization, and the National Fish and Wildlife Foundation. 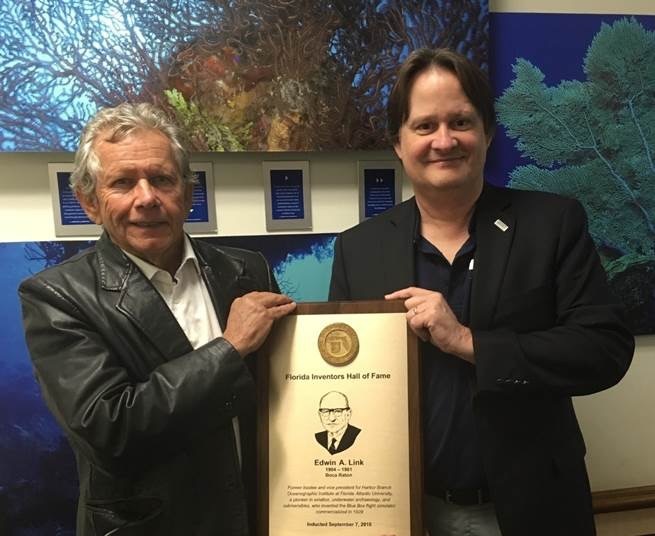 Dr. Andrew M. Clark, Trustee, Link Foundation and current chair of the Link Foundation’s Fellowship Program in Ocean Engineering and Instrumentation, presented Jim Sullivan , Ph.D., executive director of FAU's Harbor Branch with a replica of the Florida Inventors Hall of Fame’s (FIHF) brass plaque commemorating the late Edwin A. Link . Link was inducted into the FIHF Hall of Fame on September 7, 2018 for his remarkable achievements. ﻿In 1971, Link helped to create Harbor Branch as an independent research institution with the financial support of founder J. Seward Johnson. Florida Atlantic University recently celebrated “ FAU Day ” at the Florida Capitol. Every year, FAU sends a select group of students to advocate on behalf of the University in Tallahassee. Harbor Branch Executive Director Jim Sullivan , Ph.D. and graduate students David Bradshaw and Kirstie Tandberg joined more than 50 students, alumni, faculty, staff, and trustees. They met with legislators and professional staff, toured the House and Senate chambers, heard an update from State University System of Florida Chancellor Marshall Criser and attended committee meetings. 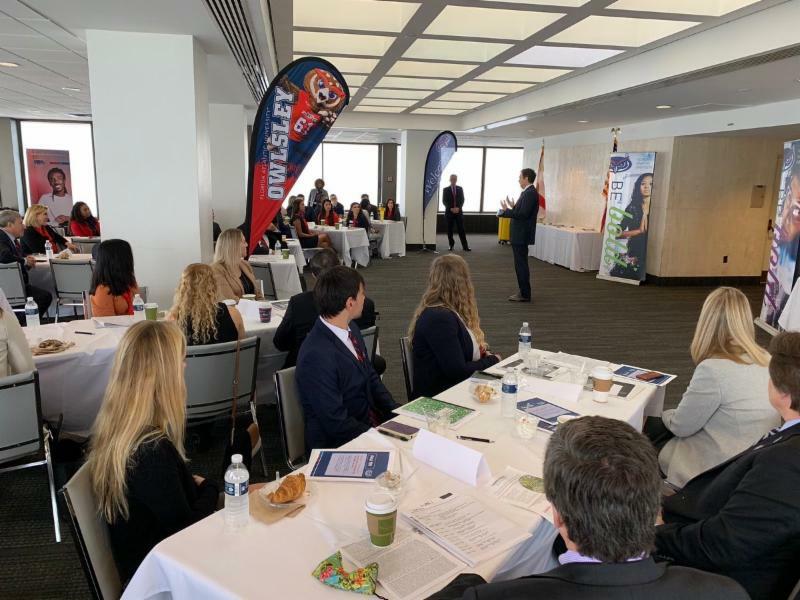 ﻿The event provides an opportunity for FAU to share its successes, engage lawmakers, and increases awareness and understanding of the university’s 2019 legislative priorities. 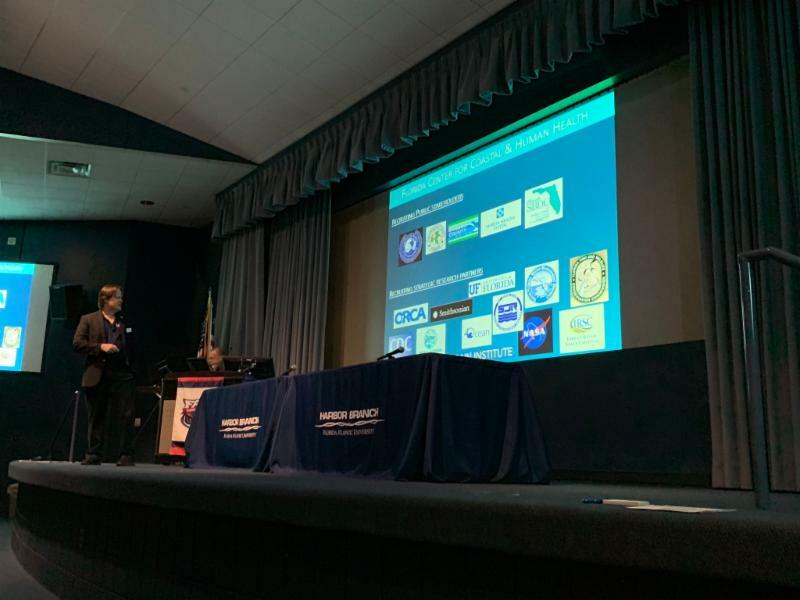 The 2019 Indian River Lagoon Symposium provided a forum to share research, knowledge and ideas between scientists and the community. The public forum, “Engaging the Public: What are the Counties Doing?” featured representatives from the five major counties along the lagoon. ﻿Scientists, decision makers, students, education and outreach professionals, and the interested public turned out to learn more about the latest research and projects underway. The symposium helps facilitate better communication among these groups so that the gaps between research and its application to the management of the lagoon can be narrowed. 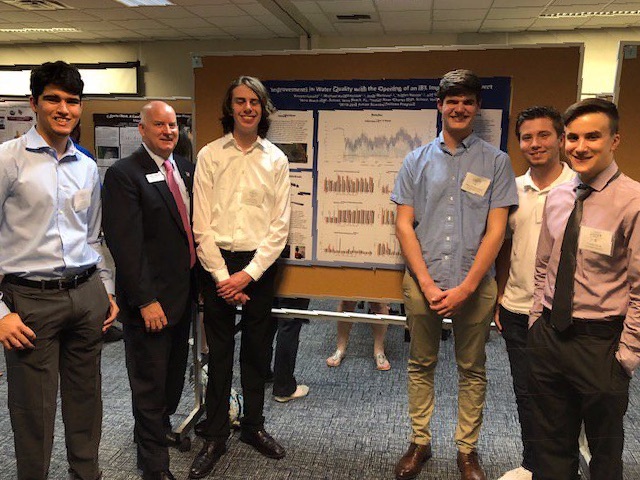 Juniors and Seniors who participated in the 6th Annual Indian River Land Trust Junior Scientist Fellows Program at Harbor Branch Oceanographic Institute showcased their research on the Indian River Lagoon ecosystem at 2019 Indian River Lagoon Symposium . The Junior Scientists Fellow program operated in conjunction with Indian River Land Trust provides young people with authentic scientific research experience in our Indian River Lagoon. Harbor Branch recently hosted Scheril Murray Powell, Director of Federal Affairs at the Florida Department of Agriculture and Consumer Services . Research professor's Paul Wills , PhD. 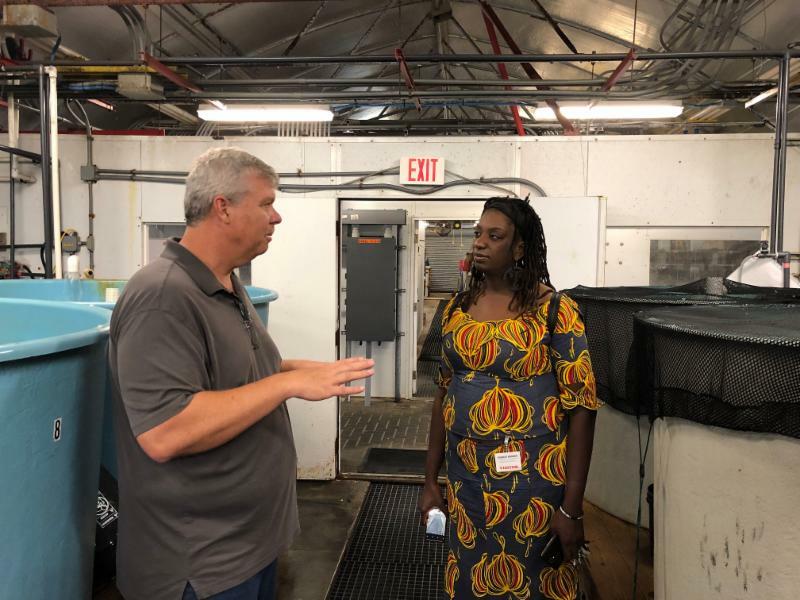 and Megan Davis , Ph.D. showed Powell the aquaculture research underway at Harbor Branch. They also discussed potential opportunities for federal research funding and development. 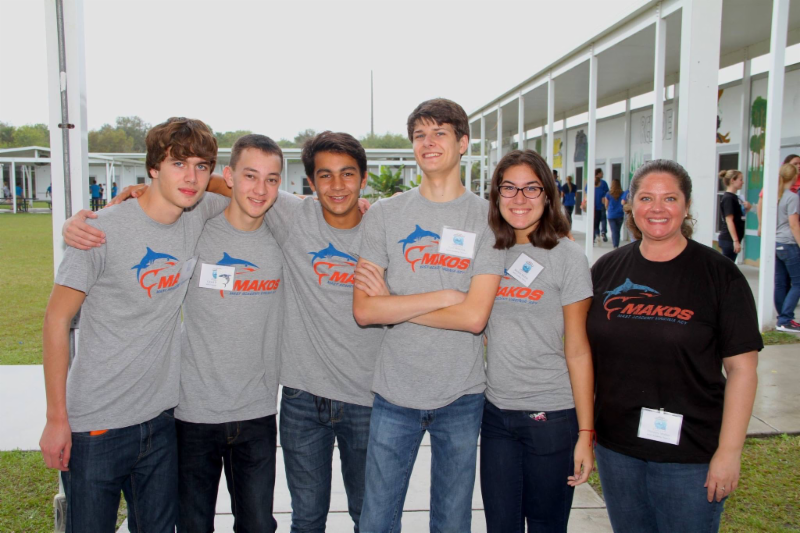 Teams of regional high school students will put their scientific skills to the test during the Florida Manatee Bowl on Saturday, Feb 23. at FAU Harbor Branch from 9:00 a.m. to 6:00 p.m. Winners of the competition will advance to the 22nd annual National Ocean Sciences Bowl (NOSB) in Washington, DC. ﻿Teams include students from Westwood's Marine & Oceanographic Academy and Fort Pierce Central High School in St. Lucie County. 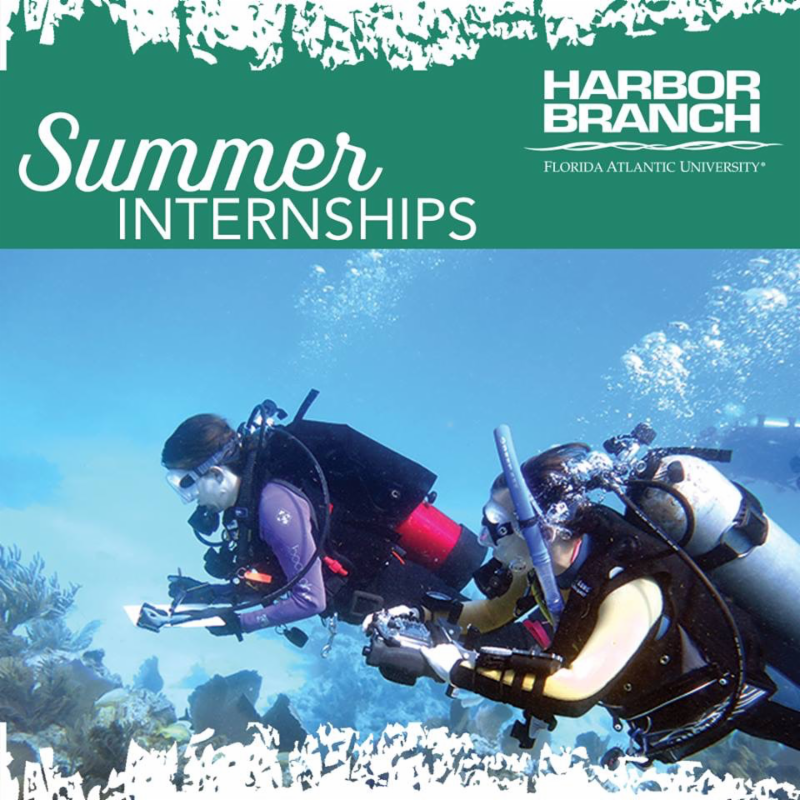 Harbor Branch is accepting applications for Marine Science and Engineering Summer Interns . ﻿The 10-week program is open to qualified undergraduate and graduate students looking for hands-on experience in a research environment. Deadline to apply is March 1. Calling all middle and high school students in Indian River and St Lucie counties! 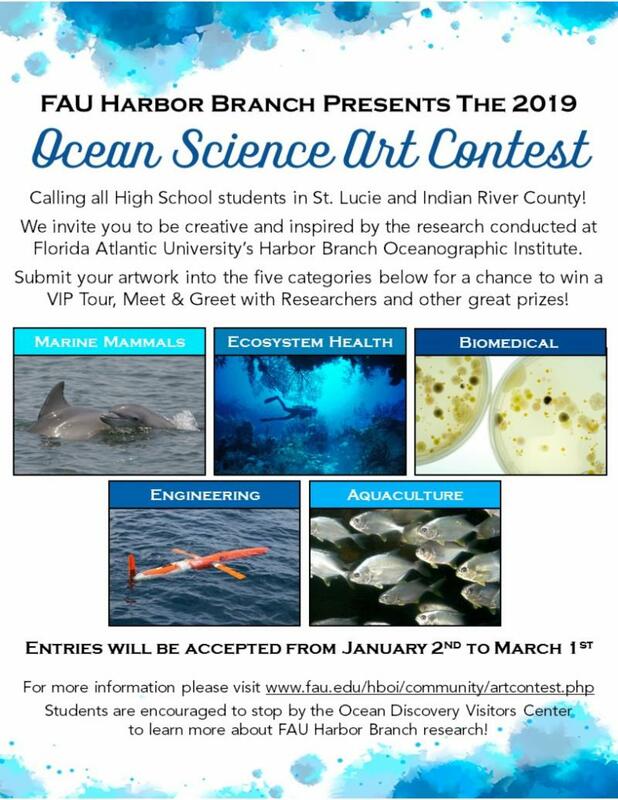 FAU Harbor Branch is now accepting submissions to the Ocean Science Art Contest . The contest hopes to inspire high school students to be creative while learning about the ocean, local research and possible careers. Winners will receive a special VIP tour of FAU Harbor Branch, a meet and greet with researchers and other great prizes. Explore the most biologically diverse estuary in North America and learn about the important research scientists at FAU Harbor Branch are conducting. The tours are held on Thursday's from 10:30 a.m. - 12 p.m. The next tours will be held on March 7 and 24. ﻿Reservations are required in advance. 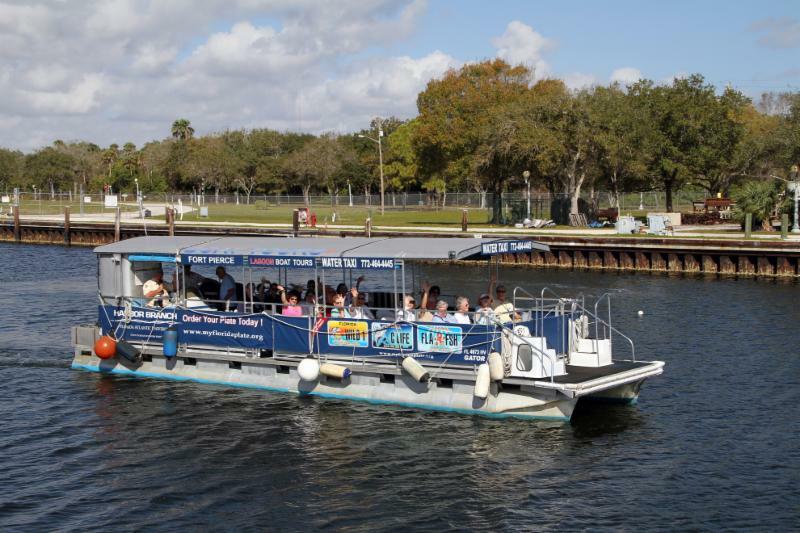 Contact the FAU Harbor Branch Ocean Discovery Visitor's Center​ to book your tour ! Wednesday, March 6, 4 p.m. and 7 p.m.
Wednesday, March 13, 4 p.m. and 7 p.m.
Wednesday, March 20, 4 p.m. and 7 p.m. 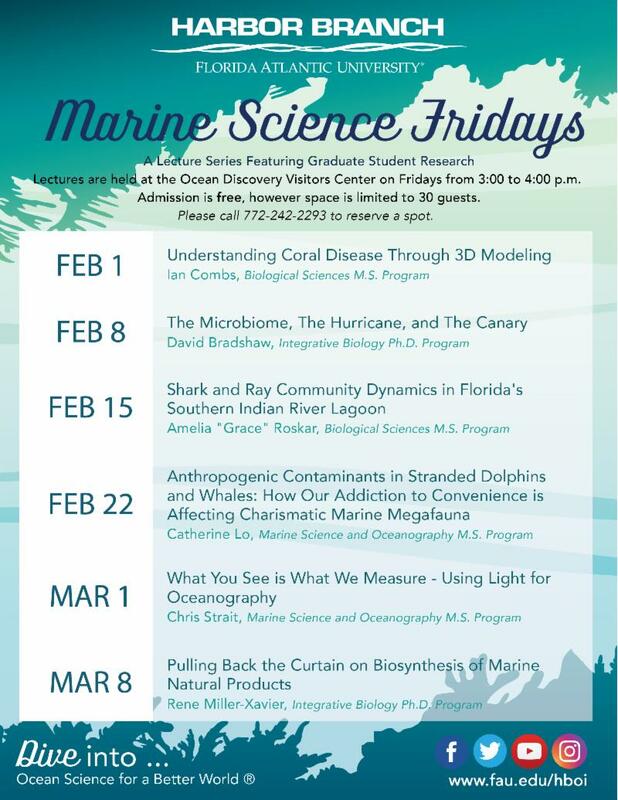 Dive into Ocean Science for a Better World with Marine Science Fridays featuring talks from FAU Harbor Branch graduate students! 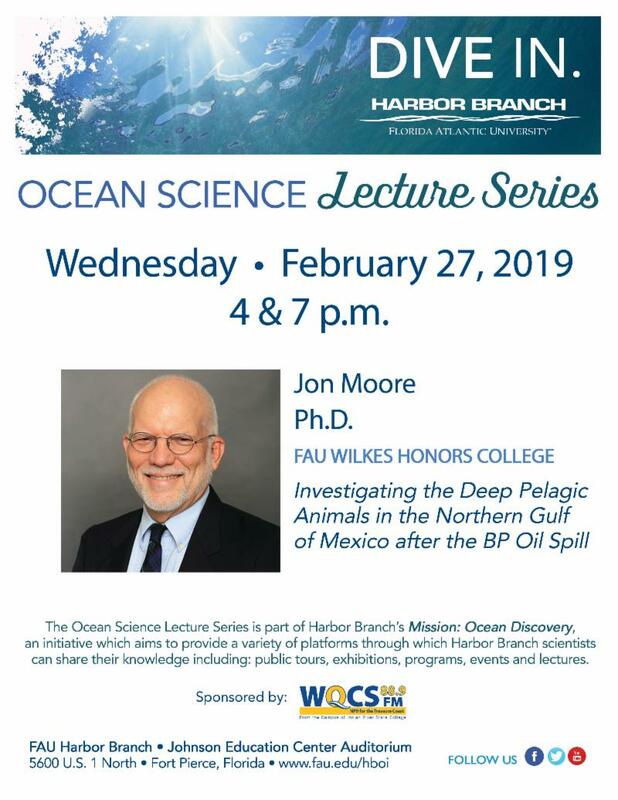 Friday, March 1, 3 p. m.
Founded in 1971, Harbor Branch Oceanographic Institute at Florida Atlantic University is a research community of marine scientists, engineers, educators and other professionals focused on Ocean Science for a Better World. The institute drives innovation in ocean engineering, at-sea operations, drug discovery and biotechnology from the oceans, coastal ecology and conservation, marine mammal research and conservation, aquaculture, ocean observing systems and marine education.